Year Walk, the latest mobile release from Simogo, is almost the exact opposite of the team's previous release Beat Sneak Bandit. It's a great credit to the studio, however, that such different games can be pulled off with equally impressive results. 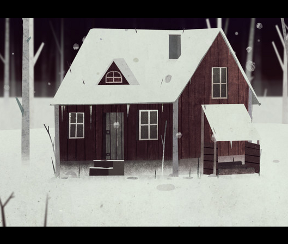 Structured like a minimalist point-and-click puzzle game, Year Walk weaves together various pieces of Swedish mythology to set an atmosphere of cold intrigue and foreboding mystery. It's a beautiful and very meaningful game, and quite the haunting experience if you sit down and let yourself get drawn into the story. Year Walk plays out across strips of horizontal scenes you can scroll left and right by swiping on the screen. Most of the scenery is snowy hills and a few trees, but when something interesting can be examined or a new path opens up, small white arrows appear at the top or bottom of the screen, signalling the ability to swipe in that direction to move to a new row. By scrolling, swiping and occasionally tapping, you'll quickly explore the sparse landscape, picking up clues and encountering a few living pieces of folklore along the way. Year Walk is the sort of game that begs you to play with pen and paper nearby. Clues are often handed to you with no context, sometimes overtly played on the screen and sometimes casually carved into the side of a tree you'll pass by. There are several interactive contraptions you can mess around with, but their purpose isn't immediately clear. You're going to have to explore and see what you can see. No spoilers here! Analysis: The concept of a year walk is a Swedish tale where participants deny themselves food and drink on certain days of the year in exchange for a glimpse into the future. Anyone undertaking the tradition is said to see strange creatures during their ritualistic walk, an experience the game Year Walk replicates extraordinarily well. There's an undeniable sense of mood and setting to this game, one that covertly seeps beneath your skin and becomes a part of your mind. The quiet snowy landscapes help you settle down for a thoughtful night until suddenly... something happens. Be ready for some tense emotional moments, and not in the "BOO! SCARED YA!" sort of way. Alongside the game, Simogo has partnered with folklore expert Theodor Almsten to release Year Walk Companion. The free download collects information about some of the concepts and creatures you encounter in the game, adding a little bit of depth to the experience. Year Walk may leave some players stranded from time to time, but that feeling of being lost is part of the experience. If you don't know where you are or what to do, even the smallest details take on a heavier meaning. And when your innocent walk turns up something frightening and new, it has such a stronger impact. Year Walk is an extremely polished and quietly beautiful game. Turn out the lights, grab your headphones, and let yourself get lost in one of the best iOS experiences yet. Year Walk Walkthrough now available! After the opening narrative, you're left facing a house. Touch the house and drag it to the right to move to the left. You should see a neat stack of wood in the scene and a faint arrow at the top of the screen which indicates you can move closer. 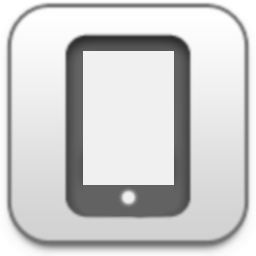 Swipe downwards to move forward. Then, move to the west (by dragging the screen from the left to the right) until you see a box. Another faint arrow at the top of the screen means you can move closer to the box.Touch the box and swipe downwards to bring it into full view. Using swirling motions, you can turn the dial but you don't know which symbol/combination of symbols will open it. Keep it in mind and maybe you'll need to come back to it later. Swipe your finger from the bottom of the screen to the top to leave the box. Continue walking west until you see another, smaller pile of logs and the slight indication of a path here. Move closer to the logs, then move west a little ways until another arrow appears at the bottom of the screen. Swipe from top to bottom to make a wagon wheel come into view. Continue west until you see a campsite cooking set-up and a sign in the distance. Move forward twice until you're close to the sign. Go west slightly and you'll see part of a fence and portion of a path. Move forward. Then, keep moving left/west until you see a windmill in the distance. Go to the windmill by moving forward and then left. When you're outside the door, enter the windmill by swiping the screen from top to bottom. Inside the windmill, you meet a girl. Tap on her to talk. Keep tapping the screen until you reach the end of the conversation as indicated by the down arrow re-appearing at the bottom of the screen. Down. Right. Down. Right twice. Down. Right. Down twice. Right twice. Up. Right once. Down. Right approximately three times (until you come to the large firewood stack). Down and right. Wait outside the house a moment and you'll automatically move inside. A black screen and the sound of deep breathing means you must be sleeping. Tap the screen and images slowly appear. Keep tapping the screen until the game's complete title, "Year Walk," shows fully on the screen. After awaking, you are outside the house again. Go west and then forward to the large firewood stack. Go east (right) three times. You'll pass a tree with a symbol scratched into it then see some footprints in the snow up ahead. Follow the footprints forward, then go east two times. Here you see the curve of a path in the distance. Move forward onto the path then go east again. Now you see more footprints leading off over the hill, into the darkness of the woods. Move slightly to the right then go forward to enter the shed. Tap on and swipe to turn the dolls head to the left. Constantly swipe to the left to continue "winding up" the doll. When you've turned the doll's head as far as it will go, it will stop turning. Back out of the shed and move west twice until you see part of a road in the distance. Move forward and west again. You're at a locked gate. Make sure the gate is at the center of the screen (tap and drag it there) and wait. You'll have a vision of the key you need to find. Then, from the shed, continue east to another path. Back up then move slightly to the right. You'll see the faint path between two stones. Go down once and left, so the finger-printed tombstone is on the right. Back up and then continue east a few times. You'll come to a woman who looks a lot like the one you saw in your vision, with the key. Left twice. North. Right. North. Right. Here, the woman opens a new path for you. Follow the flowers and go forward. Now you're at a tree with an owl perched on either branch. Hmmm. Those owl figures should remind you of something you saw earlier. You're now ready to solve your first puzzle. 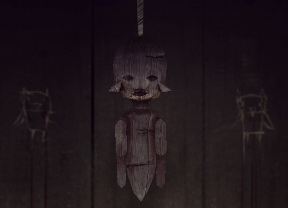 Remember the doll inside the shed? There were two images scratched on the wall behind it. When you wound-up the doll's head all the way, it performed a dance with its arms. Tap on the owls (with one or two fingers as needed) in the same sequence as the doll's arm movements. When done correctly, a door will open in the tree and you'll move inside. Once you go through the tree, you'll arrive in a darker place. Chimes, water drops and an eerie hum provides the soundtrack to this part of your journey. Important: turn the sound up as the music is your key to navigating through this area. As you move west, you'll notice a change in the sounds: some are a discordant and jarring jumble while some are a more melodious female song. Follow the song that is most in tune toward the exit. From the beginning*, go west twice. Here you can hear a pretty voice holding a sweet note. Move forward toward that light. A new music and chimes lets you know you've made progress. *But if you choose wrongly, you'll be sent back to the beginning of the maze. Therefore, to return to the beginning and start over, just move through an off-tune or discordant light. As long as you pick the in-tune light, you'll move closer to the end of the maze. Continue west four times and move forward again. Go left three times and then forward. Go left twice and forward. Go right twice and forward. When you reach the end of the tree maze, you'll see the woman again and will be transported back outside the tree. Now the gate key you need is waiting for you. Grab it! Unfornately, it melts in your hands. Go down. Then left and down. Go left past the fingerprinted tombstone then back down. Move west twice until you hear water noises and see some water at the bottom of your screen. Go down and you should be standing on the banks of the river. Head east and you'll see a horse head floating in the water. Using an upward swiping motion, drag the horse head out of the water. He'll briefly produce the key then show you an image of four drowned infants. It seems you need to locate these babies and return them to the horse-head guy. From this scene, go left and back over the log to the north side of the river. Then move as far to the west as possible. As you go, you'll see a trail of blood. Something is beyond the screen to the west but the screen won't go further by a simple swipe. Using two fingers, drag the screen over. Keep moving left in this manner until you can see a bundled baby. He'll avoid you at first but keep going. When you can, put your left finger on the baby to hold onto him. But don't let go. Go right three or four times until you reach the log that goes across the river. Go down. As soon as the infant has touched the water, it will float over to the horse-head man. Now do the same for the other three infants. Drag the cart to the right and another baby will appear. Using the same method as before, return the infant to the river. Right twice, down, left to the fingerprint stone, down, left two times and down. Left, forward, right two times, forward, right, forward, left. There should be a path up ahead, leading over the hill (further to the left is the cart). Go forward over that path. Move west twice, past the shed until you see the footprints. Go down. Go left to the curving path and then down. To your left you can see the start of another blood trail. Turn your device upside down and shake it until the swaddled infant appears. Now you can turn your device back around. Go west then back over the river. Continue to the west until you see a small pond up ahead: go forward. Go left to the campsite then forward two more times so you close in on the sign on the path. Move left to the broken fence and go forward. Head west until you see the windmill and go forward and right to stand in front of it. Enter the windmill by swiping down. Inside the windmill, use a swirling motion to turn the gears until a woman's face appears. Go back outside and you can see the last infant on the windmill blade. Again, hold the infant with one finger and you retrace your moves back to the river. With all four infants returned to the horse head man, they sink back into the water, leaving a key behind. Try the gate key, but a crow flies past and steals it from you. When you finish with the horse head man, the babies disappear into the red river and four blue flames appear in their stead. Tap each of the four flames quickly and they'll combine. Now you can carry the flame with you and, thankfully, if you let go of it, it will stay in place. Dragging the flame with you, go west cross over the river via the log. Go west then forward. Continue west a few times and move forward past the pond. Then go right and forward past the cartwheel. Take one step east and forward past the woodcutter's cart. Then go left once where you'll see a snow bunker. Take your flame and go inside the bunker. It's dark in here, but your flame helps you see. Swipe left and right to scan the area, moving your flame around to seek out useful clues. A pitchfork with 2 dots. A crow's foot with 3 dots. A sickle with 4 dots. Use your finger to slide the lower plank to the right. That will release the ladder. 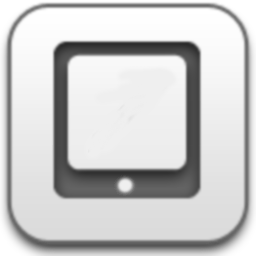 To go up the ladder, drag it to the center of the screen, then swipe downwards, continuing until you reach the top. Outside on the bunker roof, move slightly to the right until you see a crow on its back. Tap the crow and it will hop up onto its feet. Keep tapping on the bird and its spirit will rise out of it, leaving the key behind. Dragging the KEY as you move, go back to the ladder and climb down it. Go left until you see the arrow where you can exit the bunker and back out. Outside the bunker, go all the way east until you see footprints leading north. Go forward. Then go left once. You should see a sign and part of a path in the distance. Go over to it. Now, go left and there's the gate. Standing with the key in front of the gate, tap the KEY; the gate will open. The large, middle tombstone has a goat head icon and some symbols on it. Each of the other tombstones also have icons (doll, horse, infant and bird). Those four tombstones can be raised up or down using swiping motions to reveal a series of dots. Find the doll, horse, infant and bird icons in various places around the woods then note the other symbol that's marked under them. Coordinate each icon's marking with the symbols you saw inside the snow bunker. Use that to guide you how many dots go on each tombstone. Once you've found all the icons and their symbols, go back to the cemetery and move the four tombstones up to their correct positions. When finished, the tombstones will sink into the ground, revealing the way to the church. After solving the five tombstone puzzle, move forward to the church. On the front of the church, above the door, is an arrow that points both left and right. You need to find the correct combination for rotating the church. Back up from the church continue down past the gate. Then go right and down again. Move east past the shed until you come to a path. Go down, move slightly right, then down. Now move slightly left until the finger-printed tombstone is in the middle of the screen. Place two fingers on the tombstone, one over each fingerprint. The tombstone will glow, the surrounding area will grow black, and a series of arrows will flash on the screen. Rotate the church 360 degrees as directed by the finger print tombstone (see the above spoiler). When it has gone all the way around in the correct direction, the goat's head on front will flash. Then turn it again in the next direction. Continue until you've completed the sequence given by the fingerprint tombstone. When done correctly, the doors to the church will open and you can go inside. You're startled inside the church by a goat-headed man. Using two fingers on one hand, pull open the goat man's cloak to reveal his...heart? Tap on his heart repeatedly until it shatters. Using two hands, pull screen open by simultaneously swiping up and down. When the scene opens up, the whole screen will be filled with an image of a crystal heart with wings on a pale grey background. Repeatedly tap on the grey screen until you've broken off all the crystals. A doll and some words will flash on the screen, then you'll see a polygonal shape. Spin the shape repeatedly until it turns grey and breaks apart. More words will flash on the screen, then you'll see an abstract image of the house inside a hexagon. Around the edges of the hexagon are six constellations. Each constellation has a certain number of dots on it, so tap them in order from one to six. The hexagon spins away, more words flash, then you're faced with another polygonal globe. Spin the globe to the right until one of the quadrilateral shapes wedges itself into the globe. Then, spin it to the left until another shape is lodged into the globe. Like a combination lock, continue in this vein, spinning left then spinning right, until all the shapes are wedged into the globe. Now you see an abstract goat's head. Spin the goat's head until it flattens into a small ball then splits open. Now more words flash, it grows dark, and then a bright daylight scene unfolds before you. Keep moving east until you see...someone. Wait. Watch the credits roll. At their end, you'll be receive some clues and a year "1894". You'll also be asked if you want to "Walk Again?" If you haven't already, download the free Year Walk Companion. Open the Year Walk Companion on your device and tap the "LOCK" symbol in the upper right corner. Re-open the Year Walk app on your device. Remember that box you saw, not far from the house, at the beginning of the Year Walk? Choose to "Walk Again" and, after the game starts, move left from the house. Go forward past the large stack of firewood, then go left again until you come to the box. Enter the symbols you've found from the diary (see spoiler above). Enjoy the second ending to Year Walk! This game is fantastic. A must own IOS game. I didn't finished yet, but is a great game. Actually it does have some BOO! moments. I didn't know that was a scary game. I love the characters and the music, the sound of the steps over the snow are so relaxing...Very interesting approach with the moving camera and picking things without inventory. Can someone please help me figure out how to do this on a Mac? I can't get past the owl puzzle because I can't do the "both" with just my mouse. Ah, that's right, no multitouch with a mouse! On the PC version of the game, this is the sequence. I'm sure it's the same on Mac.